Fall is a special time of year for Montana fly fishing trips on the Yellowstone River. Lower flows, clear water, happy trout, and lower angling pressure make for some of the best fly fishing of the year. Our Yellowstone River fly fishing guides particularly like this time for the diversity. You can fish dry flies, nymphs, and streamers and can expect to be successful anyway you choose. The river fishes well all the way from the mouth of Yellowstone lake, through Paradise Valley, and below Livingston, Montana. Hatches remain consistent with hoppers, ants, BWOs, larger drakes, and lingering stoneflies all available for our wild trout. 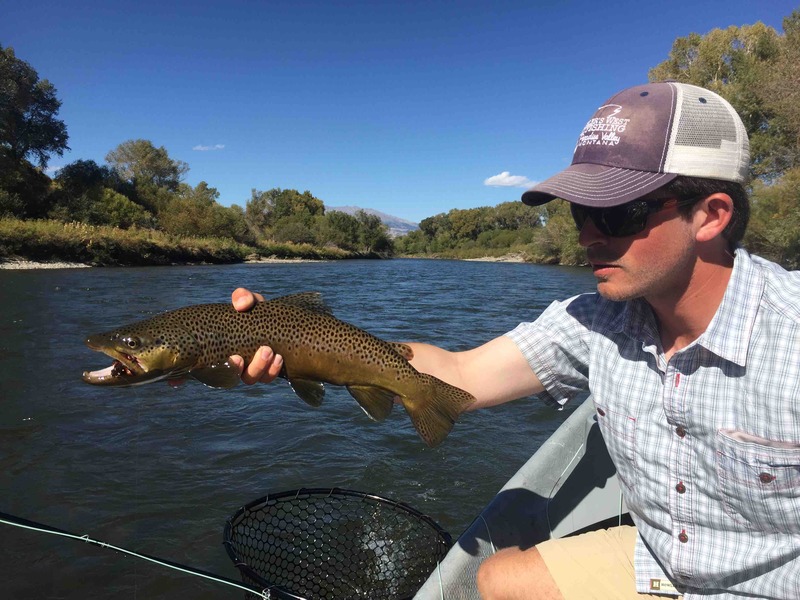 Lower flows make wade fishing the Yellowstone River an effective tactic in the fall. By late September the brown trout start becoming more aggressive and some of the larger fish are known to get a little less wary of streamers through October. Weather stays stable through the first half of October with cooler daytime temperatures than in the summer, but perfectly comfortable for all day angling. The cottonwoods trees put on their finest fall colors by the first week of October and it is hard to imagine a more scenic place than the Yellowstone River through Paradise Valley this time of year. There is just a certain peace about fly fishing trips on the Yellowstone River in the fall that keeps anglers coming back year after year.